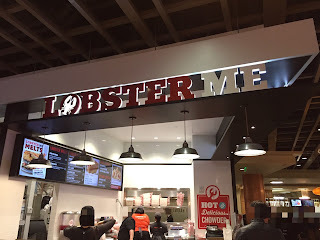 At the food court of Westfield San Francisco Centre, there's a lobster shop called "Lobster Me." 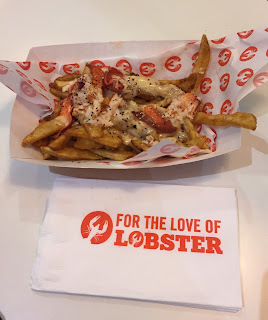 I remembered seeing "Lobster Poutine" and I gave it a try this time. 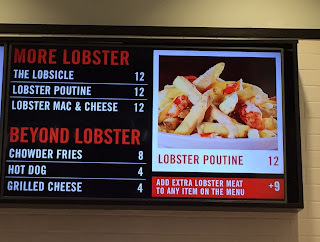 It's only a part of menu, but majority of the items had lobsters. 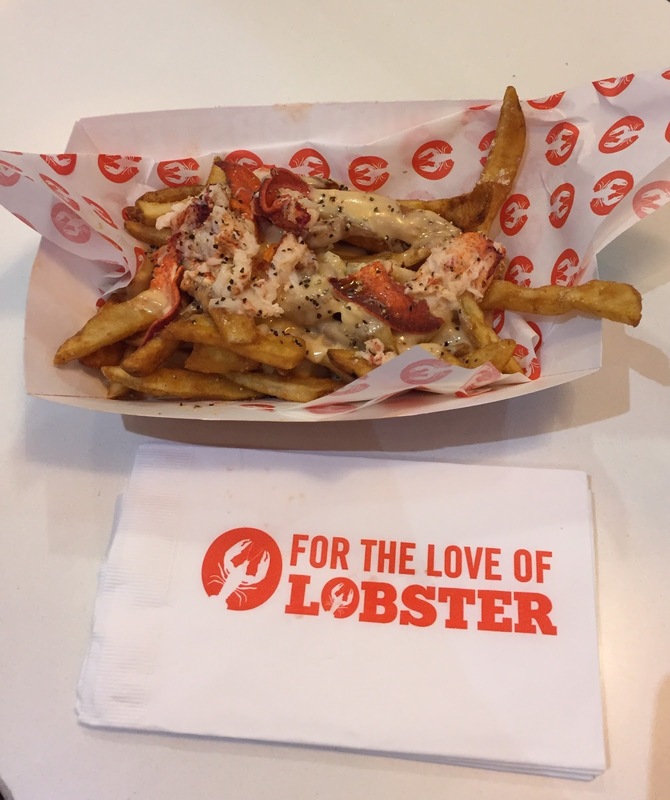 By seeing the picture on the screen, I already knew there wouldn't be any cheese curds. 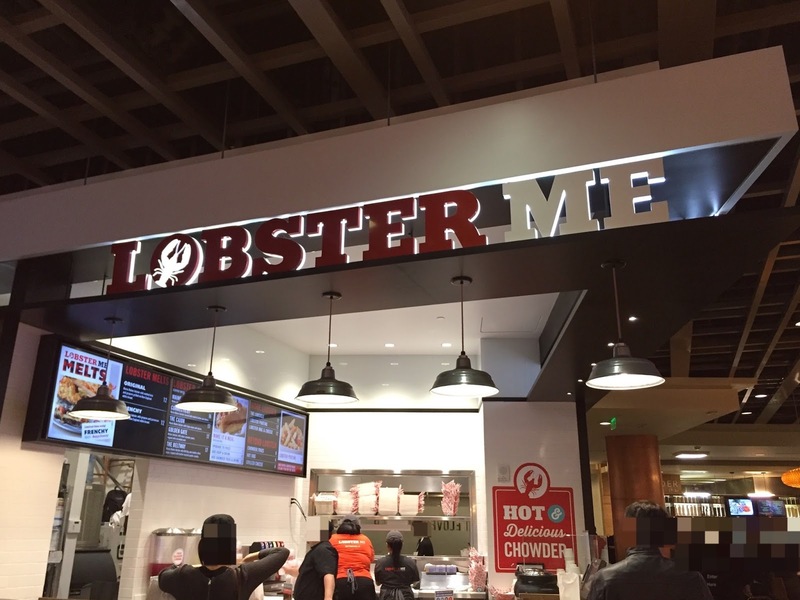 When I paid, I was asked my name but as the cashier couldn't spell my name, my receipt didn't have any name. 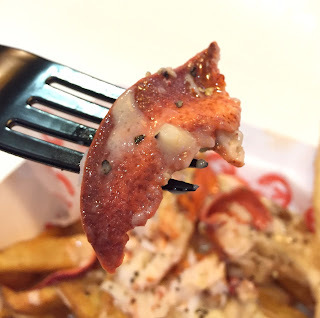 It took them about 15 minutes to serve me this poutine, but at least it's fresh and warm. 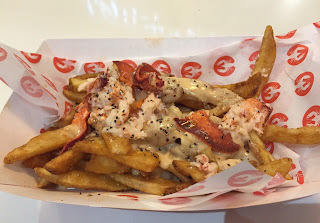 Until I received the actual dish, I had been afraid it'd be as fishy as Lobster Monster from Frite Alors!, but it looked closer to what Baton Rouge served and smelled good. There're generous amount of lobster meat, including claw parts. 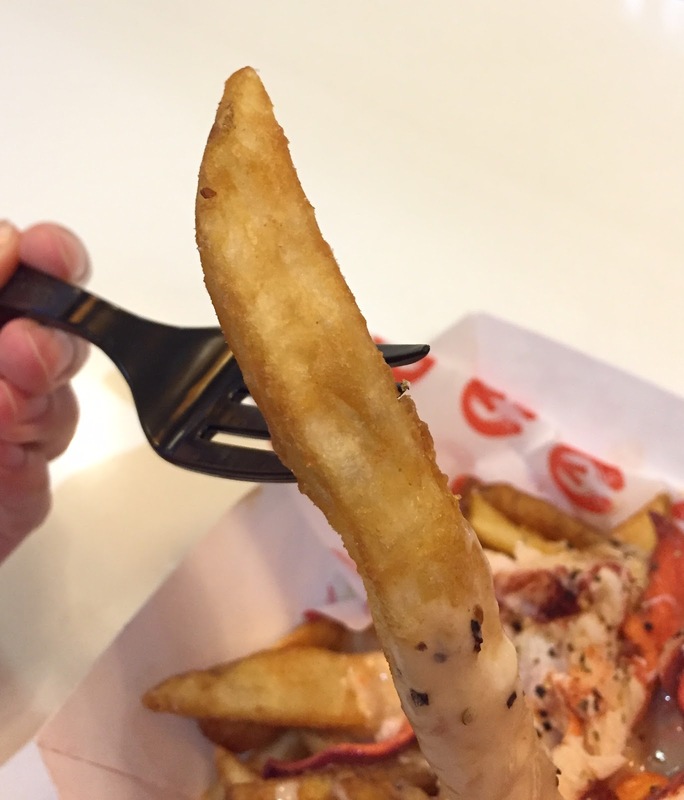 Fries were wide and flat, and they're crispy but not crunchy. The sauce wasn't gravy but bisque, and it's creamy though it lacked of lobster flavor. Cracked black pepper on the top was adding nice spiciness to the velvety cream. Claw meat was chewy and juicy, and there're 5-6 pieces of these. Shredded meat was poured a lot, too. 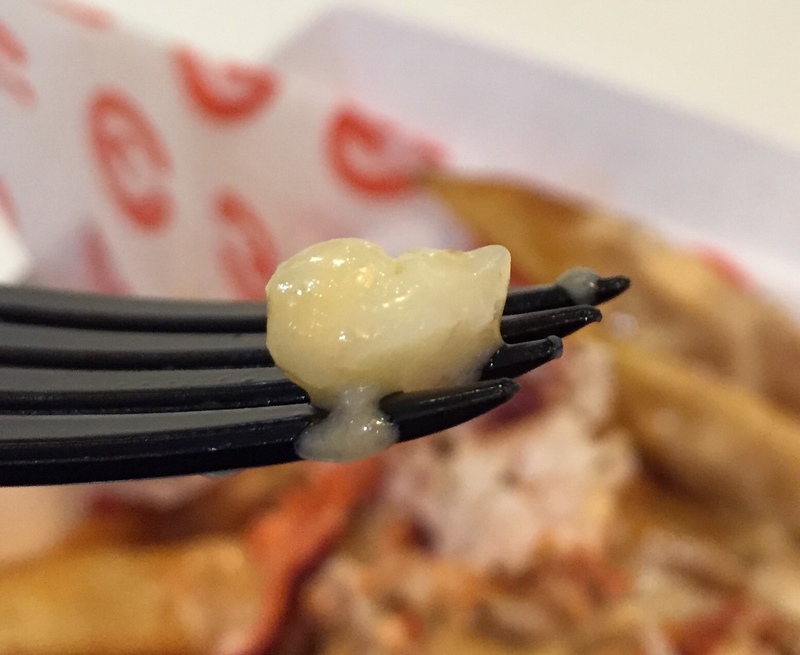 Here comes the problem, those "supposed to be cheese curds" were just itty-bitty pieces of chopped up cheese. I've never seen this mini-mini cheese placed between fries, instead of on the top, nor no shop actually served this pinky-nail sized cheese in place of cheese curds. 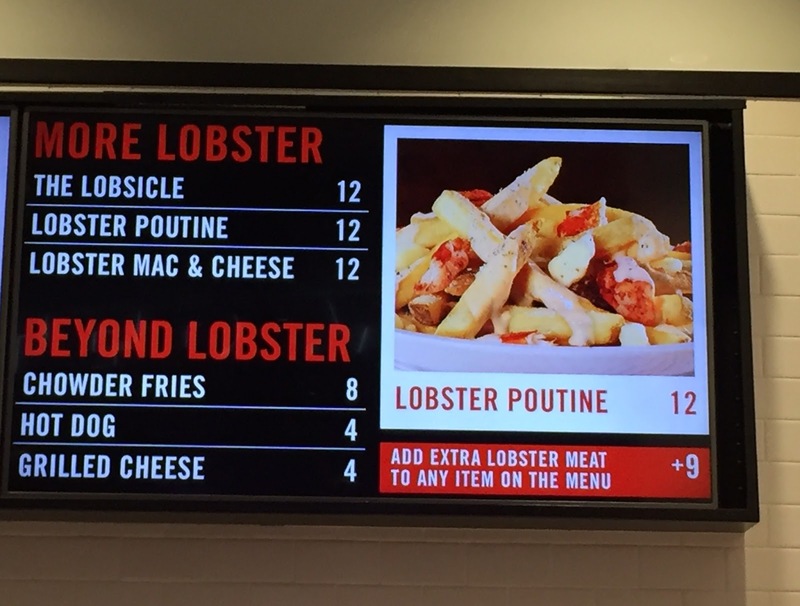 I like lobster so I'll try some other items when I have time to kill because the waiting time was so long, but I'd never order their poutine again.